A couple of years ago I came across this page from The Gentleman’s Magazine (Feb. 1824) for sale online. 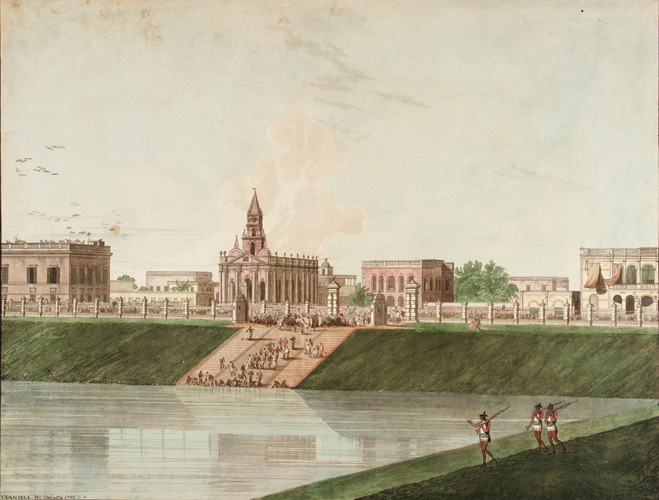 It is a reproduction of an engraving made by G. Hall in 1774, and is the earliest known illustration of Kiernander’s Church at Calcutta. 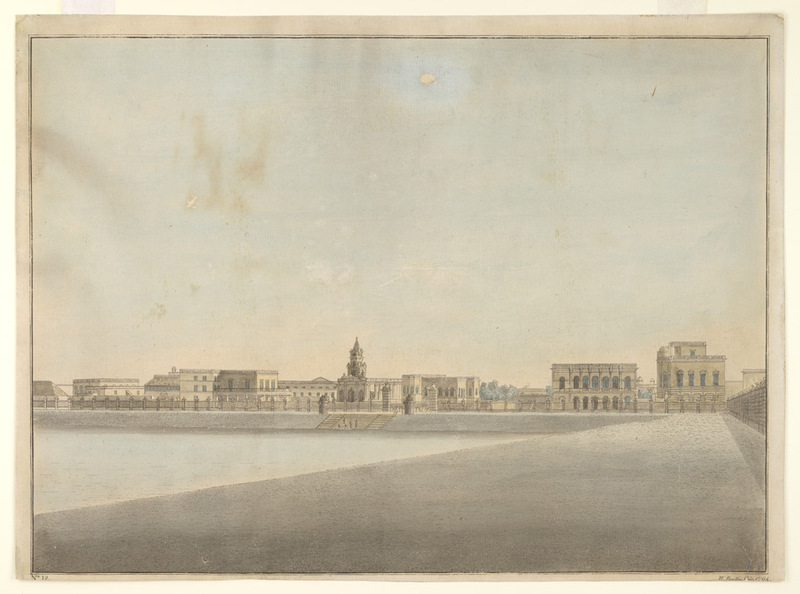 An original print from 1774 can be found at the National Maritime Museum, Greenwich. 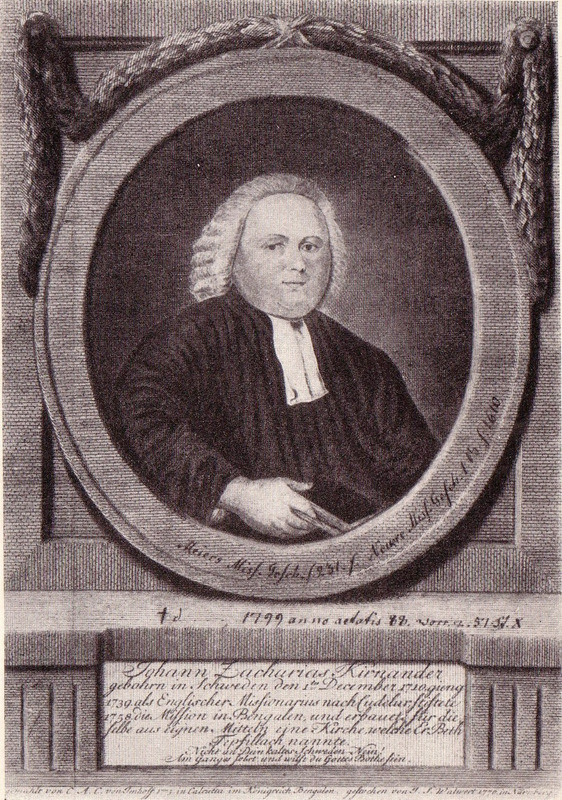 Johann Zachariah Kiernander was a Swedish Lutheran, who was dispatched from London to India in 1740 as a missionary under the auspices of the S.P.C.K.. After eighteen years labour in the south, he was invited to Bengal by Lord Clive, victor of the Battle of Plassey, 1757. 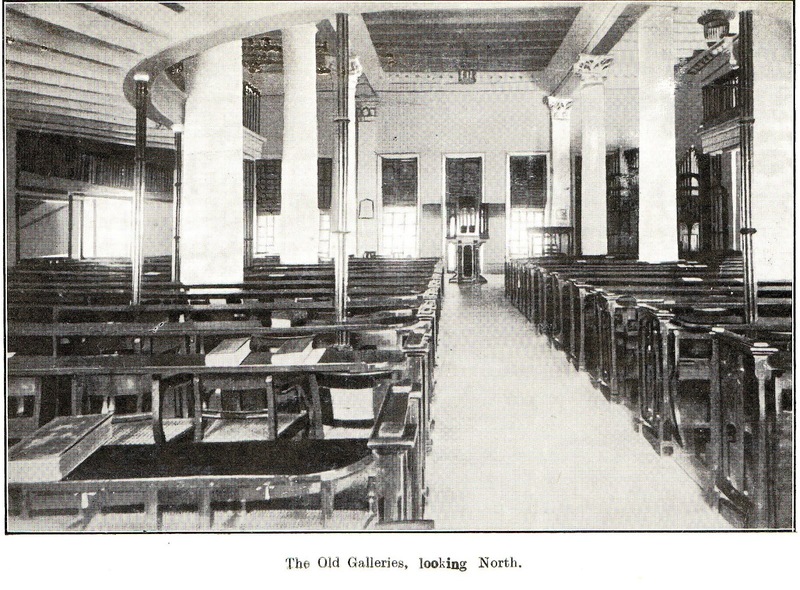 In a house given rent free by the Governor, Kiernander established his Mission Church. 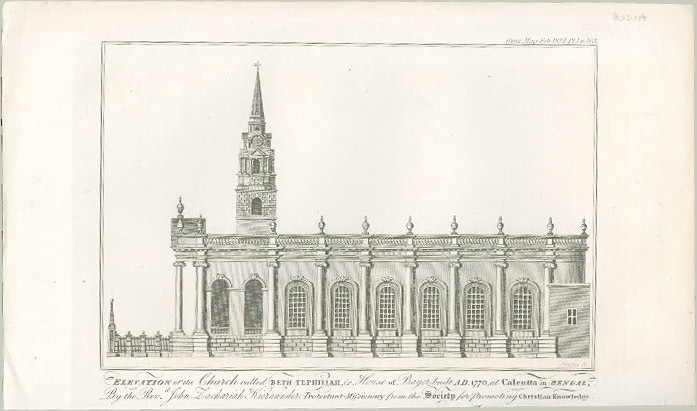 In 1767 he resolved to purchase ground and build a church at his own expense, and the present church was completed, after many setbacks, in 1770. 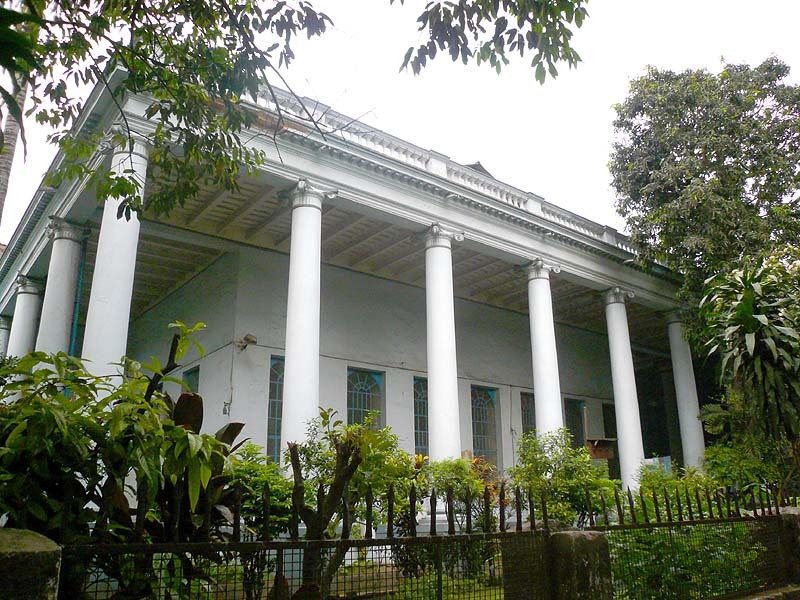 Kiernander himself called it Beth Tephillah (Hebrew: House of Prayer), but it was known to many as Lal Girja, or the Red Church, as it at that time dominated Lal Dighi, or the Red Pool, of Tank Square around which old Calcutta was centred. 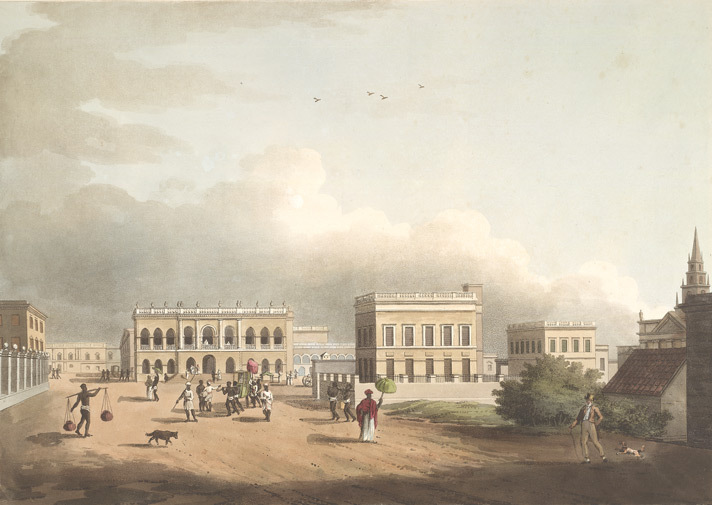 This is most clearly seen (below) in Thomas Daniell’s 1786 coloured aquatint etching Part of the Old Tank, a copy of which can be found at the British Library. Kiernander’s Mission was the city’s sole Protestant place of worship from 1758 until the completion of St. John’s Church in 1787. 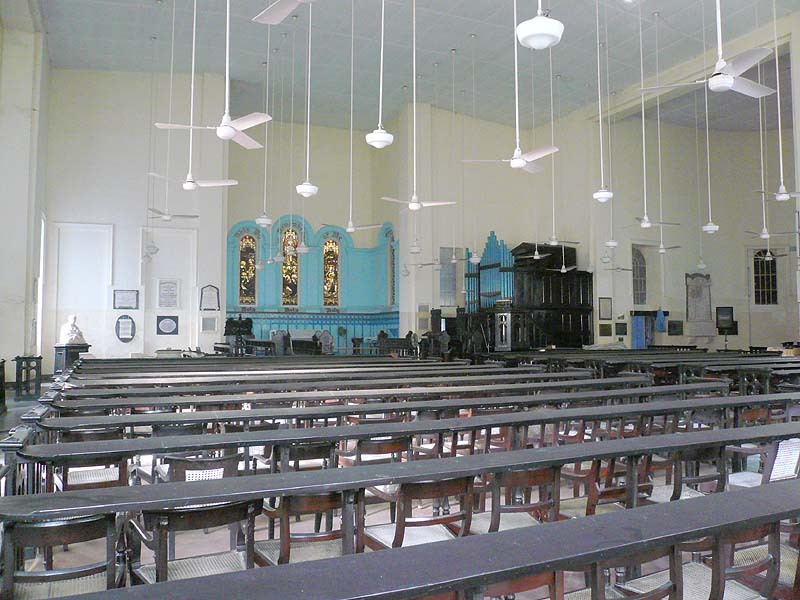 Subsequently became commonly known as the Old Church, or Old Mission Chuch, while St. John’s was often referred to as the New Chuch, or sometimes Pathure Girja, the Stone Church. An article in The Telegraph in 2003 refered to Kiernander’s church as the Swedish Church, and this name has recently acquired some currency, but it is rather misleading. Though Kiernander never lost his Swedish accent, he never preached in that language – though he did in Portuguese, English and German. He laboured as a missionary for the English S.P.C.K., and to all intents and purposes saw himself as English, to the extent of refering to England as “Home”. Ironically, he had spent less than a year in England. 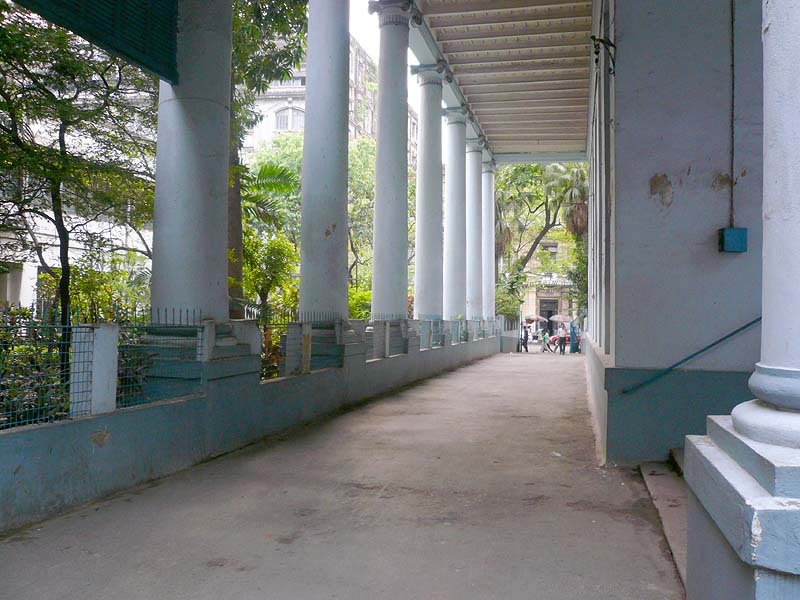 Almost sixty years of his 88 years were spent in India; more than forty of those were spent in Calcutta. 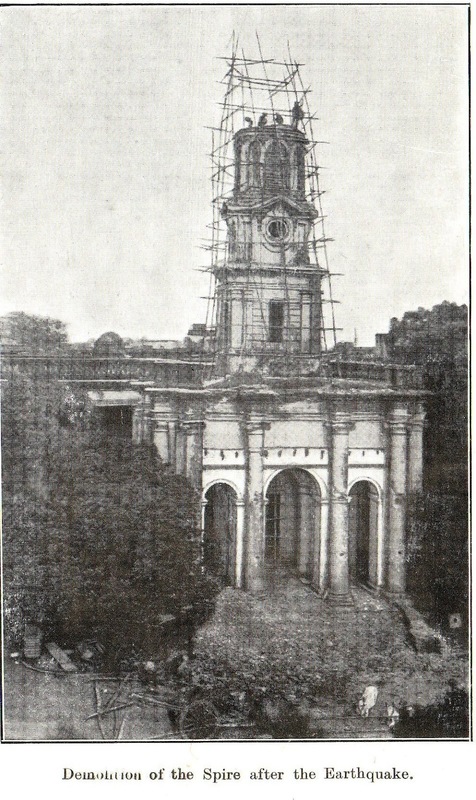 Kiernander’s church continued to dominate central Calcutta after his death in 1799 (above). 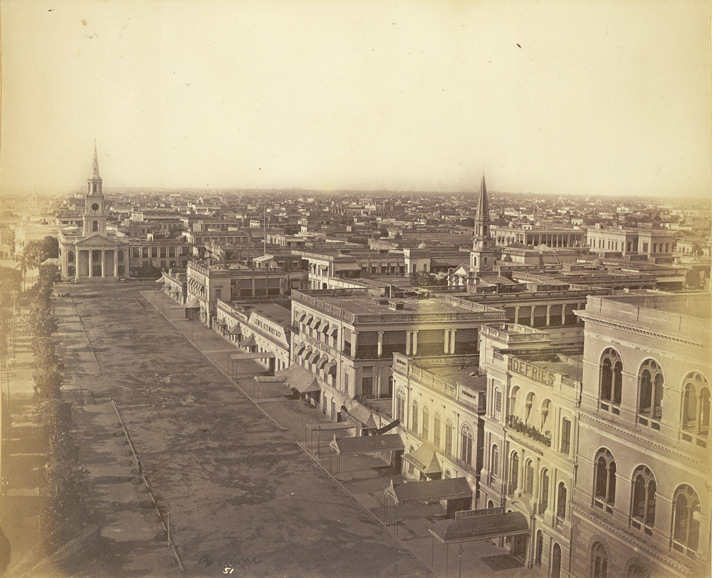 Gradually, however, it retreated behind a row of new commercial buildings which sprung up as Calcutta wrested its status as second city of the British Empire in the nineteenth century (below). 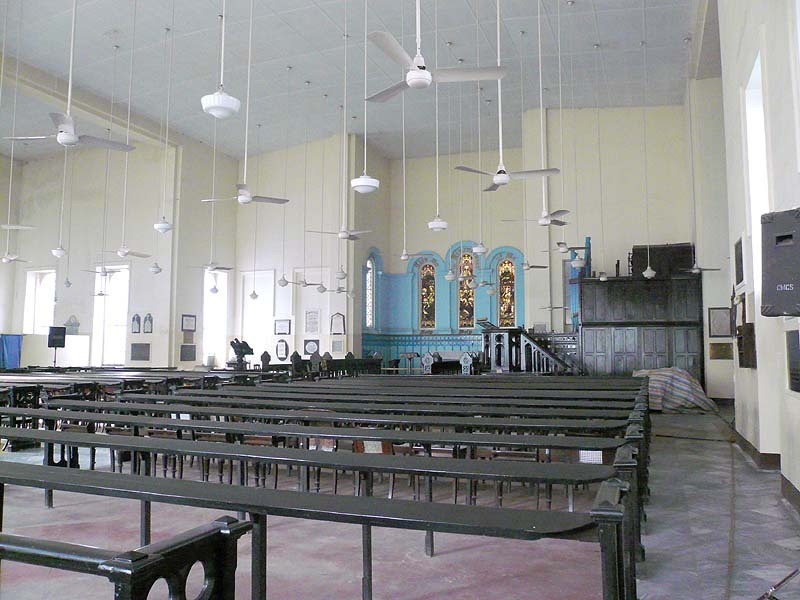 Photographs show that by the 1880s and 1890s Kiernander’s Mission Chuch had become a quite magnificent, being well maintained, extended and restored (below). J.Z. 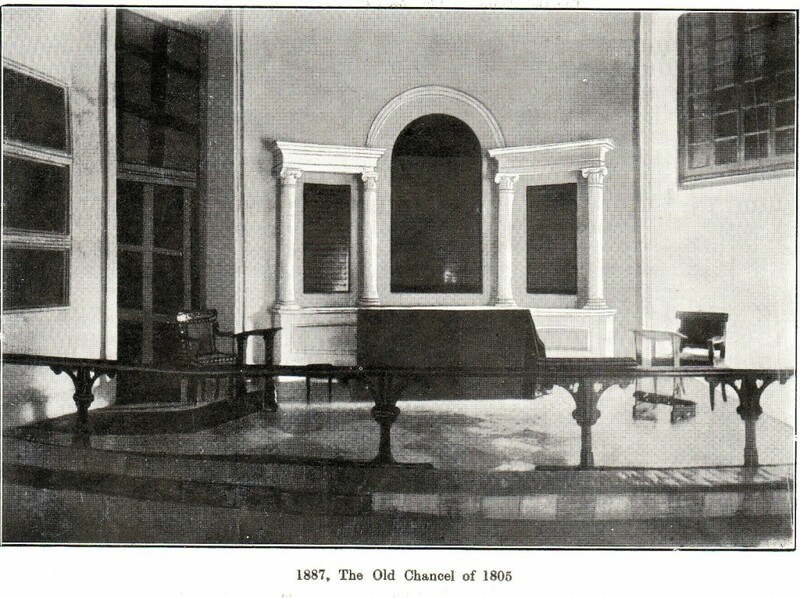 Kiernander’s great-grandson, George Henry Kiernander, made several large donations, including one for a stained glass window for the new chancel. 1897 proved to be an annus horribilis in the history of the church. 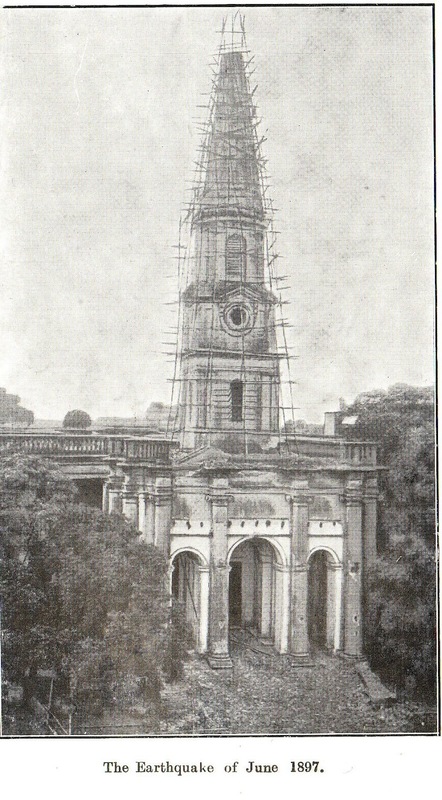 The steeple was wrecked in the great Assam Earthquake of that year, and had to be demolished along with the tower. 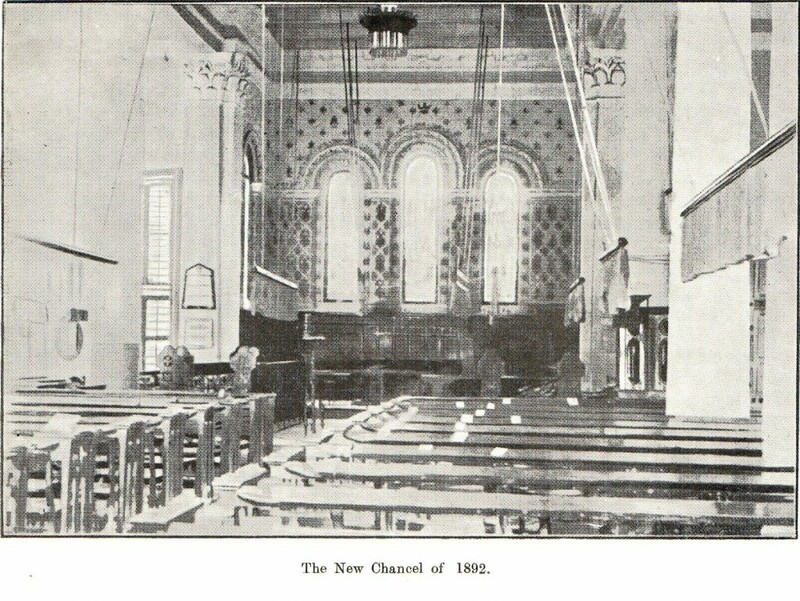 Replacing the steeple was not possible, such was the damage to the church. 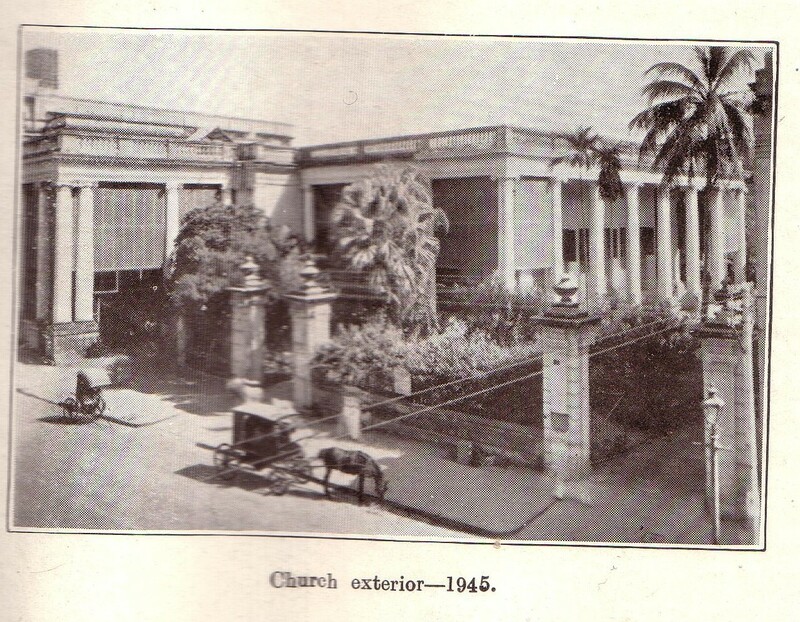 But the church continued to function, and its history is recorded in Westcott’s One Hundred and Seventy-Five Years at the Old or Mission Church, Calcutta (1945). 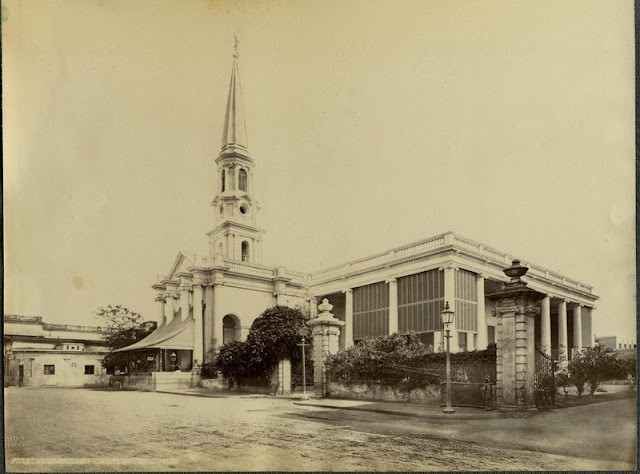 In 1948, on account “of the ravages of time and white ants” what was unsafe roof was removed and replaced, allowing in the process for the church to be enlarged. 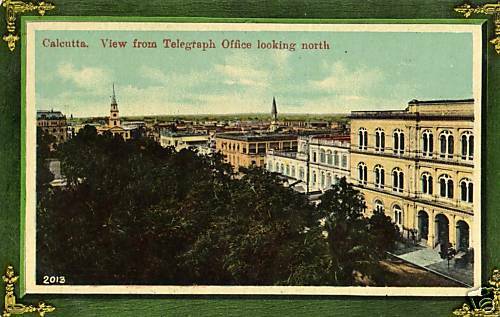 No steeple was added at this time, and the church to this day remains without. Though The Telegraph suggests the church now “lurks despondently” behind B.B.D. Bagh, the photographs below from 2005 seem to tell a different story. Dear Sir thanks for the post. 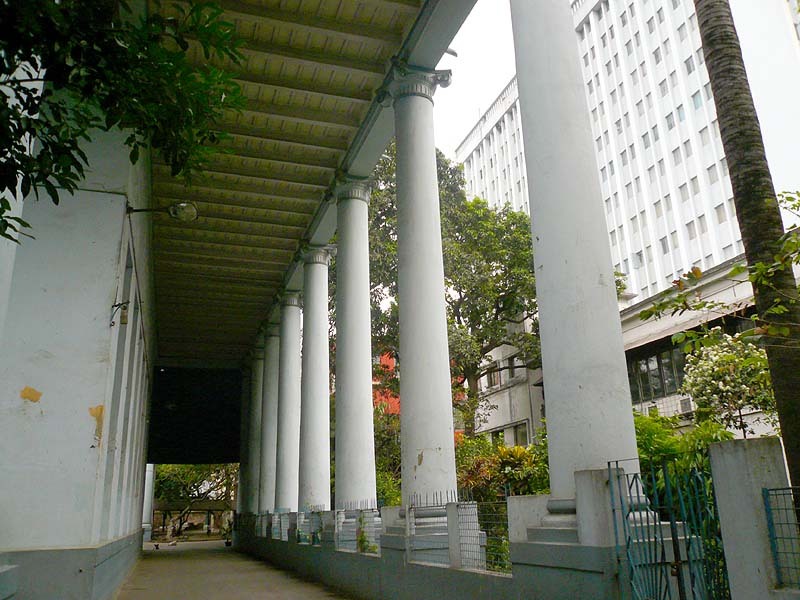 I am from Calcutta and a independent researcher working on the churches of Calcutta. 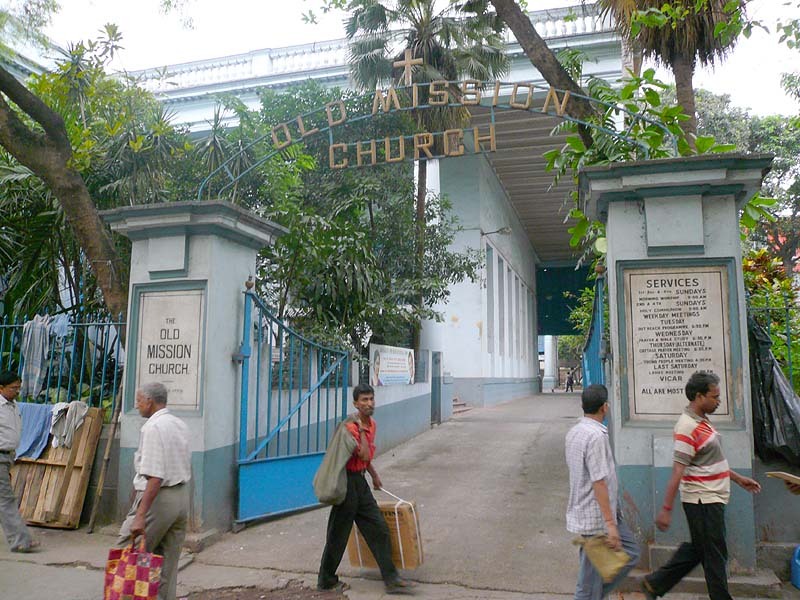 The church is popularly known as Mission Church or Old Church. 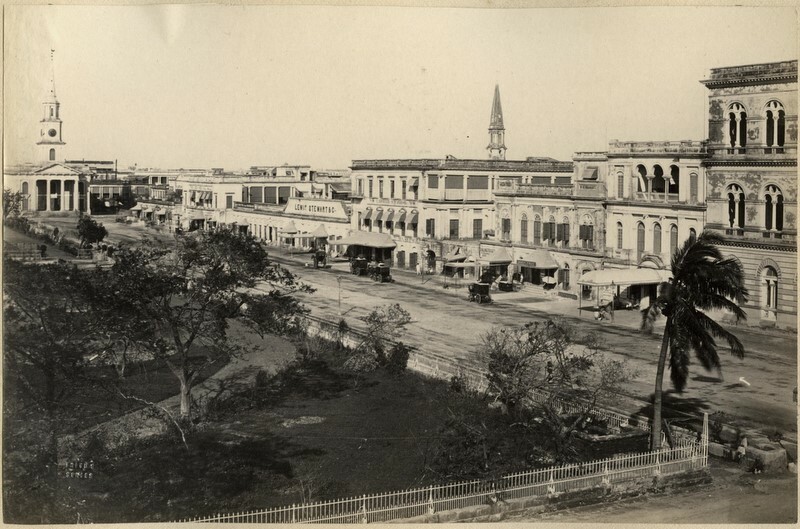 It was previously known as the Lal Girja (Red Church) for its brick red facade (it no longer exists today). 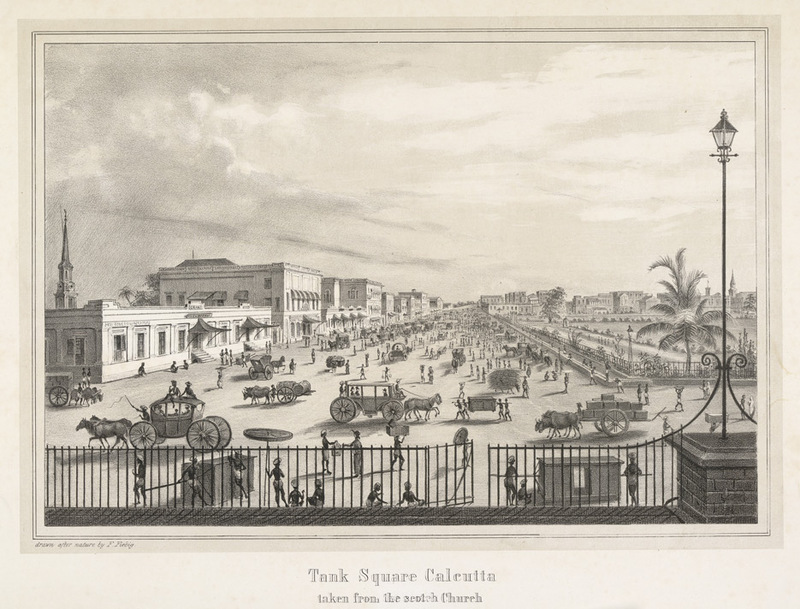 It was probably Lal Dighi (Tank Square) derived its name from Lal Girja, because of the reflection. Thank you! I enjoyed reading your blog posts, and I look forward to one on Kiernander’s Church! Happy blogging! Thanks for the historical insights about the Old Mission Church. Just attended a Carol Service, was delighted to listen to the pipe organ. Thank you Cecil. If you have any photographs of the church or the service I would very much like to see them!